Now that I’ve written the above headline, it seems to confirm what I already suspected about teen driver car accidents. But regardless, a new study by the Center for Injury Research and Prevention at Children’s Hospital of Philadelphia confirms that distracted driving and inexperience, and not reckless driving, are the leading causes of fatal car accidents involving teen drivers. The study found that of nearly 800 serious accidents 76% were the result of teen driving errors that likely could have been prevented with the help of additional training and distracted driving awareness programs. The Hospital’s director of epidemiology and biostatistics Allison Curry said the study proves that “the vast majority of crashes occur not because the teen drivers are behaving badly, but because they have not yet developed the crucial skills they need” and negates “the myth that crashes occur due only to aggressive driving.” It’s an important distinction, because it means that rather than remaining an issue that is nearly impossible to tackle, teen car accidents can be reduced with additional training. The best approach to making the road safer for teenagers could be better graduated license laws that gradually bestow driving rights to teenagers. Here in California, for example, teens earn their learners permit at 15 years 6 months, their restricted license at 16 years, and their unrestricted license at 18 years old. Though teen drivers who go through this process remain less experienced than someone who has been driving his or her whole life, it adds extra levels of training to soften those first few years for new drivers. Regardless of such efforts, new research indicates that a teen’s physiology may make complete motor maturity difficult to attain. 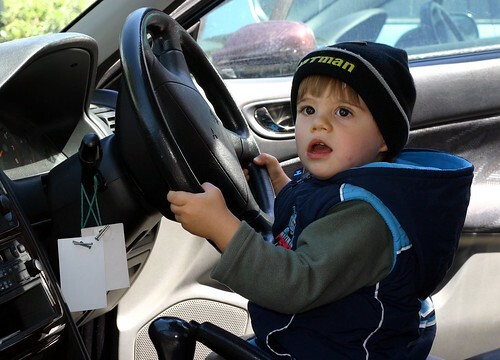 The National Institute of Mental Health reports, for example, that drivers may not attain full motor maturity until 25 or even 30 years of age since the part of the brain responsible for driving skills is the frontal lobe, which develops last. As a result, teens are prone to distractions and underdeveloped motor skills. For more, see our interactive infographic of brain development for teen drivers. Clearly, we’re not going to move the national driver age back to 25. So while it remains at 16 or 17, our best chance for reducing teen car accidents is to boost training programs and encourage teens to obey traffic signs and remain alert behind the wheel. And try setting up guidelines (with rewards for adherence) for your teen driver with our parent-teen safe driving contract. Your parent-teen safe driving contract seems a great idea to at lessen teen car accident occurrences. Parents should play huge role in educating their children on road safety.